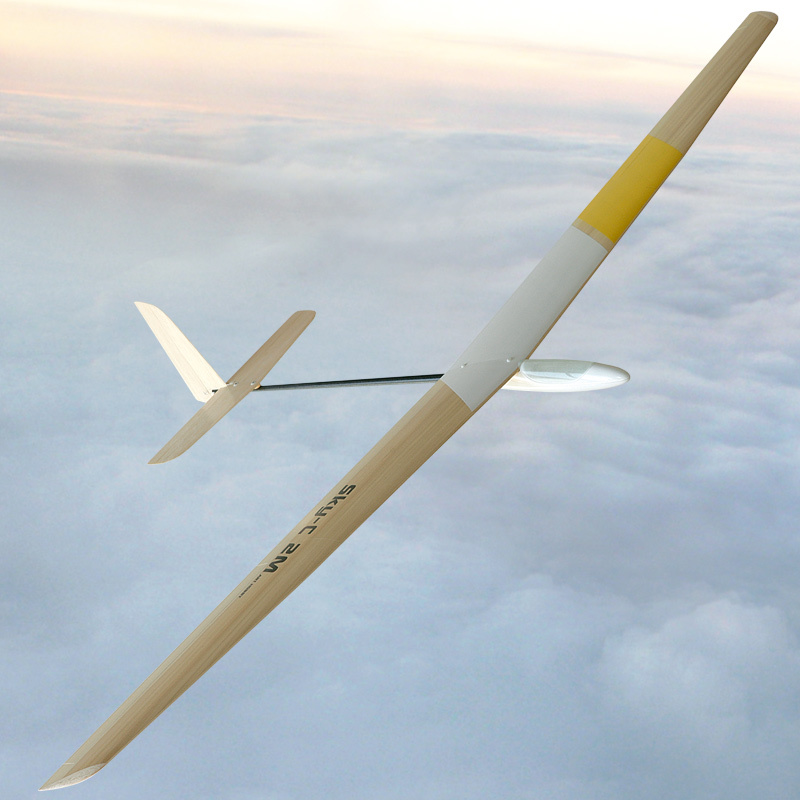 This sailplane has wide envelope of speeds and superb thermal characteristics. The Sky is a fast assembling, high quality model and incredible performer. It has a double-trapezoid, tapered and double polyhedral bended high aspect wing. It also has a built-in washout for tip-stall resistant flight characteristics, and lower drag. It features the SD7080-modified airfoil specially modified for this sailplane. The Sky 2M wing also could be built as polyhedral wing if desired by the builder. 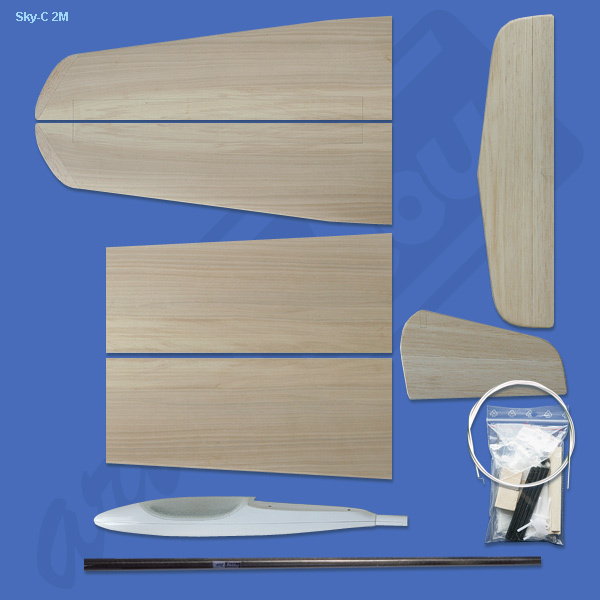 - vertical stabilizer with prehinged rudder and horizontal stabilizer with prehinged elevator are made from balsa and is fully laminated with light weight fiber glass cloth for durability and stiffness. Model components, all necessary hardware, plans and step by step instructions. 2000 mm / 78.74 in. 1100 mm / 43.3 in. 360 g / 12.6 oz. 31.26 dm² / 484.5 sq.in.